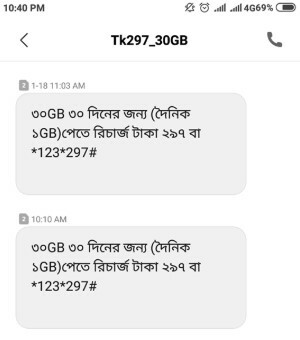 1 How to active Airtel BD 30GB 30Days Validity 297TK Offer? airtel 30gb 297 tk – Airtel 297 TK 30GB Internet Offer! Hello Dear, Welcome to Airtel 30GB 297 TK Offer with 30 Days Validity Content. 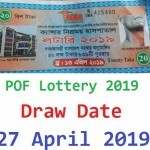 The Bangladeshi users friendly telecommunication company “Airtel BD” lunches a 30 days validity internet offer for their valuable customers, whose name is Airtel 30 GB Internet 297 TK Offer. Under this offer, customers used maximum per day 1GB Internet (1GB per Day X 30Days Validity = 30GB Internet) at only 297 Taka. At present in Bangladesh, this is the best cheap rated internet offer. If you are an Airtel Bangladesh customers and searching for buy a cheap rate with 30 days validity big internet package? We hope, this is the right offer for you. So, staying with us and follow the below content. How to active Airtel BD 30GB 30Days Validity 297TK Offer? Maximum Airtel customers get an SMS like as the below picture. If you don’t get any SMS like as below picture, you can also check offer eligibility by Dialing USSD *999#. To active the Airtel 30 GB 297 Taka Offer, customers need to recharge exact 297 TK or Dial USSD code *123*297#. All the Airtel BD prepaid and postpaid customers are eligible to enjoy Airtel 297 Taka 30GB 30Days Validity Internet Offer. VAT + SD + SC included in recharge amount 297 TK. To check the remaining balance of Airtel 297 TK Recharge internet offer, just dial USSD code *8444*88#. Customers use maximum 1GB internet per day. Thanks for staying with us a long time and visiting Airtel 30GB 297 TK Offer with 30 Days Validity Content. If you have any question about the Airtel 30GB Internet 297 TK Offer? Just comment here, we reply as soon as possible.